Alexander Graham is a scientist born and bred in Scotland. He is known for inventing the telephone. He patented and created the first working telephone in the world. His invention can be termed as one of the most important inventions in the world today, because many millennials cannot even imagine a world without smartphones and telecommunications. 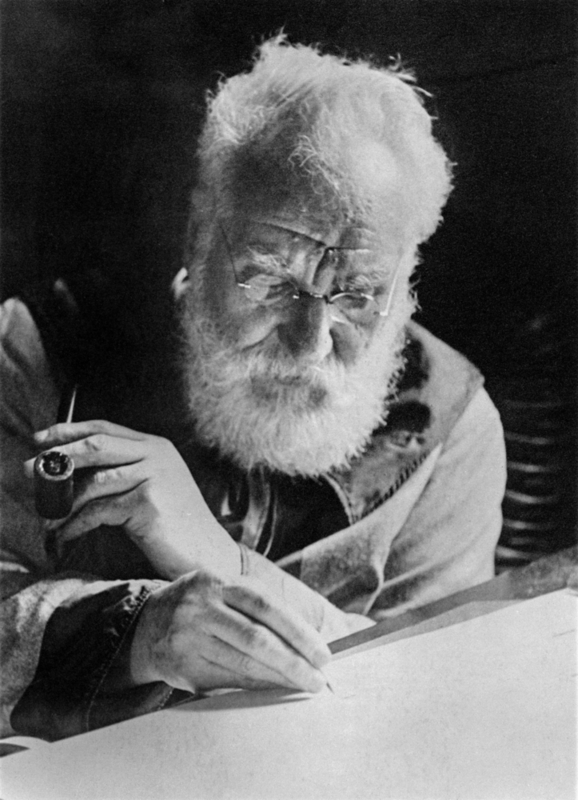 Born in Edinburgh, Alexander Graham Bell had the best exposure to art and science in Scotland at the period. He was able to focus on his career because science served as an escape to him as he dealt with the loss of two of his brothers when he was only 10 years old. He was homeschooled almost throughout his young age, before he proceeded to Edinburgh Royal School to spend two years breaking and making records with his brilliant. He had a thing for problem solving in the sciences, although his family wanted him to take on the family business and continue it. He had to leave home after a clash with his father to care for his grandfather. His father did not take it very well that his son was not interested in supporting the family business. Bell had the time and space to follow his dreams when he started living with his grandfather at 16. He still worked with his father in his mission to serve the deaf, but his life had a clearer path than ever. In 1870, when his family moved away from the United States of America, to Ontario Canada precisely, he began to study the depths of voice and sound. This was the beginning of making his prints indelible in the sands of time, making history. 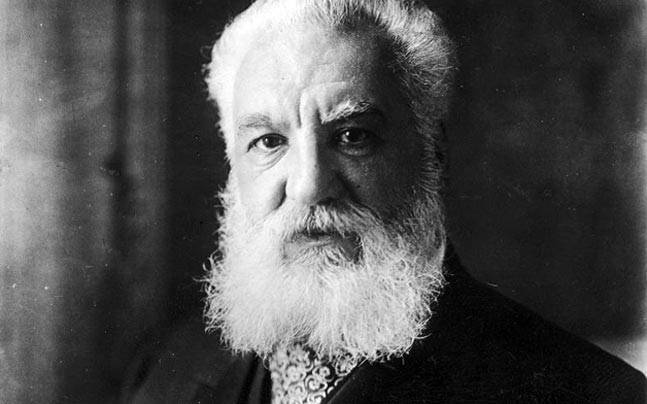 Alexander Graham Bell moved back to America in 1871, to begin work on a project that will create a device that can be used to transmit telegraphic waves. After presenting this idea to a number of tech investors, he got the funding he needed. Then, he began to work on this project which led him to another idea that transmitted human voice through wires. He decided to follow this voice transmission project and left the telegraph transmission device. Eventually, Thomas Watson was recruited to continue the project he had left. However, Watson was also interested in this voice transmission device, so they worked on it together. In 1876, the first call was made across wires. However, they did not do this intentionally at the period. The call was made mistakenly over wires, and it made them patent the idea, secure investments and also helped him start his telephone company the next year. He had no business expertise whatsoever, especially because his parents wanted to force him to do business instead of following his dreams. So, he had his wife handle all the business activities in his company in 1880. He also continued to work with the deaf, and till he eventually passed away at the age of 75. His death was well celebrated and he will be remembered forever for his unmatchable contribution to mankind. I All dinosaurs are born with mechanisms that boost their defense. Carnivores had sharp teeth for their predator instincts and herbivores had spiky skin and long horns which serve to protect them. II Tyrannosaurus Rex is believed by many scientists to be able to run at a speed of 28 km/h; however, however, as others speculate that it was not altogether possible for the Rex to run so fast because of its big size. III Bipeds are animals that have the ability to move on two legs only. An example of a biped dinosaur was the Tyrannosaurus Rex which, although had a very large body, could support itself on only its two hind legs. IV The specie of Sauropods were recorded to be twice as tall as a giraffe, making them the tallest animals in animal history while the fastest dinosaurs were the Tyrannosaurus Rex, which scientists propose could run at a speed 18 mph, the equivalent of 28 km/h. V The Deinosuchus was a gigantic reptile which had a weight that surpassed that of the crocodiles that exist today, up to eight times more. Beyond size, it is speculated that it probably had the most ferocious bite of all dinosaurs, even more than Tyrannosaurus Rex. VI The crest attached to the nose of the Corythosaurus is designed in such a way that the dented space inside the crest works like an echoing device and allows it to make very loud noises for specific purposes.